Why Visit An Event Taking Place In... Copenhagen? Home>All News>Why Visit An Event Taking Place In… Copenhagen? Copenhagen is Denmark's capital with an urban population of about 1.2 million people and is a major centre for science, medicine and business. Whether you are in search of the perfect hotel, interested in design and architecture or keen to try some of the world’s best restaurants, rest assured that in Copenhagen you are never far away from it all.
" Experiencing Copenhagen in any season is a must. Ranked as the most walkable city, as well as the world’s most liveable city, it is certainly an experience to see how the world’s happiest people live.	" Copenhagen is a very accessible city and its airport, which is Scandinavia’s main traffic hub, offers non-stop flights from 165 international destinations. A short 13-minute Metro journey from the airport will lead you to the city centre. The city is designed for pedestrians and cyclists, and you will find it easy to navigate. Experiencing Copenhagen in any season is a must. Ranked as the most walkable city, as well as the world’s most liveable city, it is certainly an experience to see how the world’s happiest people live. 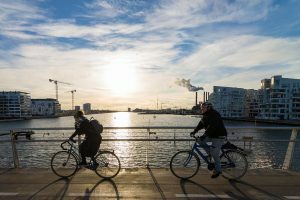 Copenhagen’s compact city centre makes walking between meeting venues, hotels, sights, and restaurants a matter of minutes. Adding to this, the city is also the world’s most bike-friendly city. In fact, it is home to the world’s busiest bicycle lanes, used by 36,000 cyclists per day. The city’s rush hour differs from most others since bicycles outnumber cars in Copenhagen. So, join the locals and jump on a bike. See more on getting around. Almost 70% of the hotel rooms in Copenhagen are eco-certified. Many of the city’s convention venues are also Green Key certified and international hotel chains such as Radisson have their own environmental programmes. With 18 Michelin stars across 15 restaurants, Copenhagen is the capital of Nordic Cuisine. A great selection of the city’s restaurant, cafés and hotels are riding the “green wave” by ensuring that you can eat environmentally friendly food at all price levels. Most of Copenhagen’s most popular attractions and sights are within walking distance. 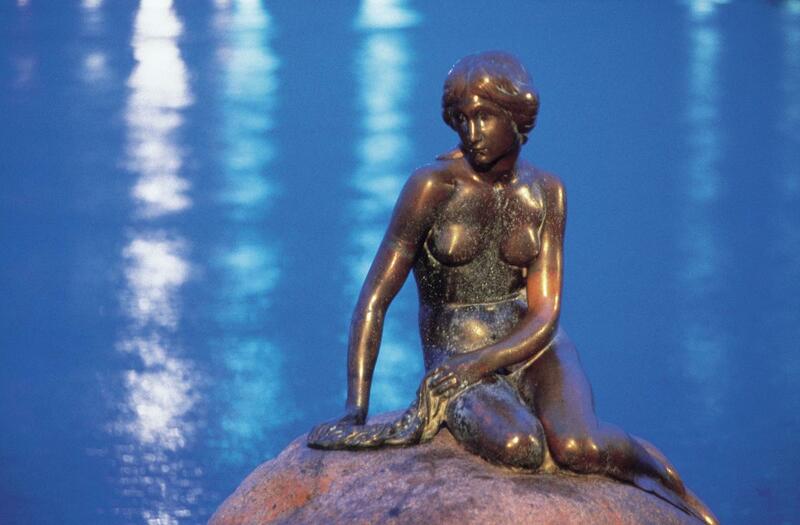 Along with the three most famous sites; Tivoli Gardens, the statue of The Little Mermaid, and the freetown of Christiania, the city has so much more to offer. With a history that dates back to 1043, the city is full of historic landmarks, significant buildings and interesting sights and museums such as the Christiansborg Palace and the picturesque Nyhavn. 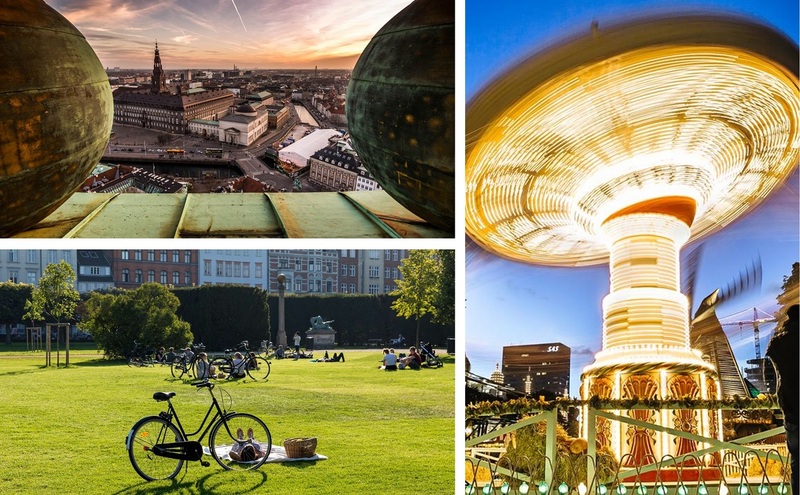 See the top 30 attractions in Copenhagen, or what to do if you have only 24 hours in the city. 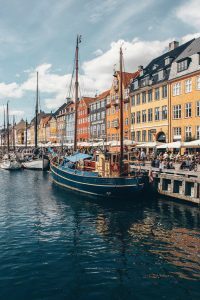 Copenhagen is an old harbour and maritime city, and one of the most beautiful and enjoyable ways to see it is from a boat sailing down its charming canals. Take a traditional canal tour boat, a romantic gondola, be the captain of your own solar energy-driven boat, be adventurous in a kayak, or go fishing. The possibilities on the water are endless. See available boat tour options. Whether you are into bistros or Michelin-starred restaurants, you will find what you seek in Copenhagen. The restaurant scene is among the world’s most distinct and innovative and caters to all budgets. When dining out, try the much-appraised Nordic kitchen, known for its high quality and focus on using local and seasonal produce. We also recommend Visit Copenhagen’s guides to nightlife in the city and satisfying your sweet tooth at the city’s bakeries, coffee shops and patisseries. Reserved places on buses and trains for prams and pushchairs, children’s menus in restaurants, art museums at a kids’ height and of course, reductions at all attractions. Copenhagen’s crown jewel, Tivoli Gardens, is a true fairy tale for kids as well as their mum and dad. 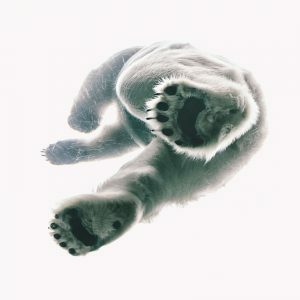 Copenhagen has a state of the art zoo and also a brand-new aquarium, The Blue Planet. If you need help or inspiration during your stay in Copenhagen, the Copenhagen Visitor Service is a good place to start. If you need a city map or want to buy a Copenhagen Card with access to top attractions and unlimited public transport, the friendly staff at the tourist office is ready to help. They can also offer you a place to rest your feet while enjoying a good cup of coffee and writing an e-mail home. Learn more about the visitor services. Learn more about travelling with disabilities.